A longlist of 14 contenders for this year’s (seventh) Czech Book Award has been announced. Six books by authors from our agency are on that list. 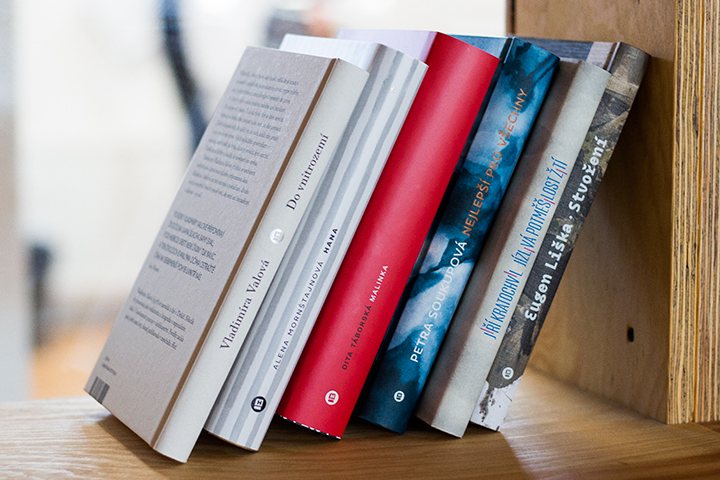 Our nominated titles are the novels Hana by Alena Mornštajnová, Best for Everybody by Petra Soukupová, The Bitter Maliciousness of Living by Jiří Kratochvil, The Creation by Eugen Liška and Malinka by Dita Táborská, plus Vladimíra Valová’s collection of short stories To the Interior. Regular visitors to this site will know that two of these titles are also up for a Magnesia Litera award (Best for Everybody and To the Interior). The winners of the main prize and the student’s prize will be announced in May, at the Book World Prague fair.